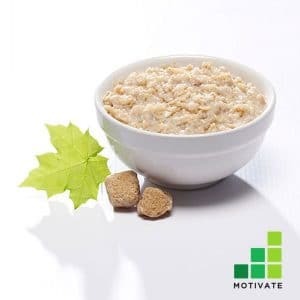 Protein oatmeal, on great way to start your day! Perfectly flavored oatmeal that’s not too sweet and not too tart. 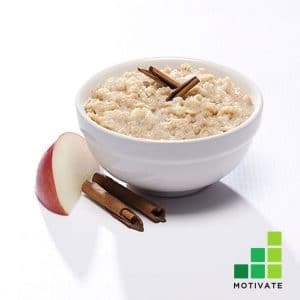 This oatmeal combines robust apple flavor with delicate cinnamon undertones which makes it the perfect start to your day. 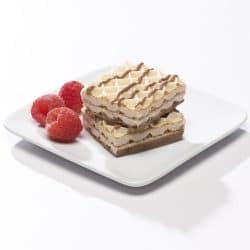 With only 2 grams of fat and 15 grams of protein all for 120 calories. Empty contents of one packet in a large microwaveable bowl. Add 4 oz (115 mL) of cold water. Mix very well and cook on HIGH for 3 minutes. Stir, continue to heat another 30 seconds. Let stand before eating.